I interviewed Craig Biddle on "Common Mistakes about Ethics" on 10 October 2012. Listen to or download this episode of Philosophy in Action Radio below. What are some of the most common mistakes that people make in thinking about ethics? Craig Biddle explained people's wrong ideas about ethics, including ethics of duty, pragmatism, religious ethics, collectivism, and more. 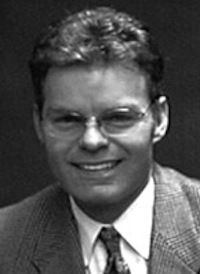 Craig Biddle is the editor of The Objective Standard and the author of Loving Life: The Morality of Self-Interest and the Facts that Support It, a highly concretized, systematic introduction to Ayn Rand's ethics. He is currently writing a book, which is tentatively titled Thinking in Principles: The Science of Selfishness, about how to use one's mind in the service of one's life, liberty, and happiness.